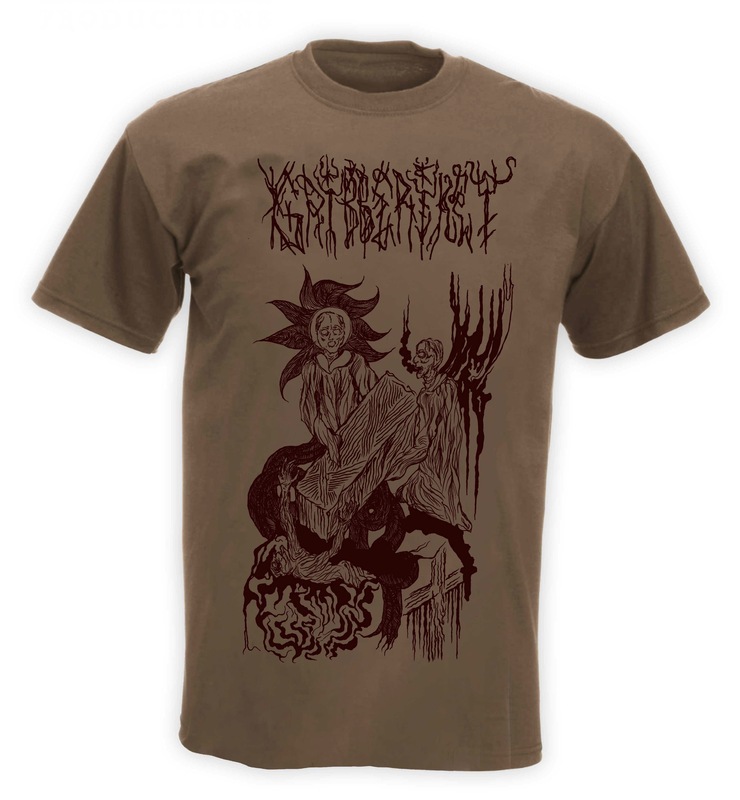 GRIBBERIKET "Coffin" T-shirts out now! Wine red print over heavy sand coloured T-shirt. Featuring artwork from Sindre Foss Skancke. BANANE METALIK discography on vinyl & CD - Out now! 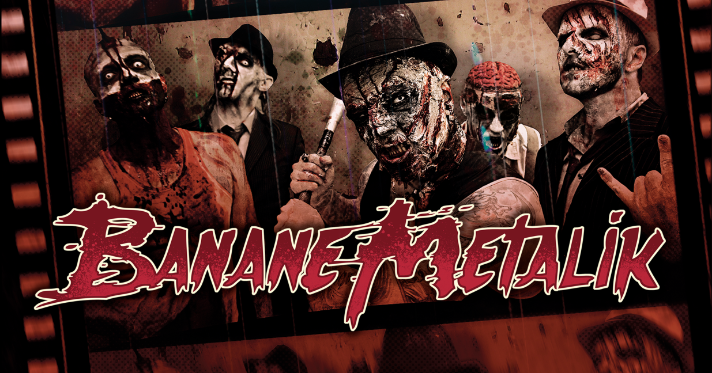 The new album from BANANE METALIK "The Gorefather" is now released through DEVIL RATS RECORDS! The label has also reissued the full discography of the band on vinyl & CD! 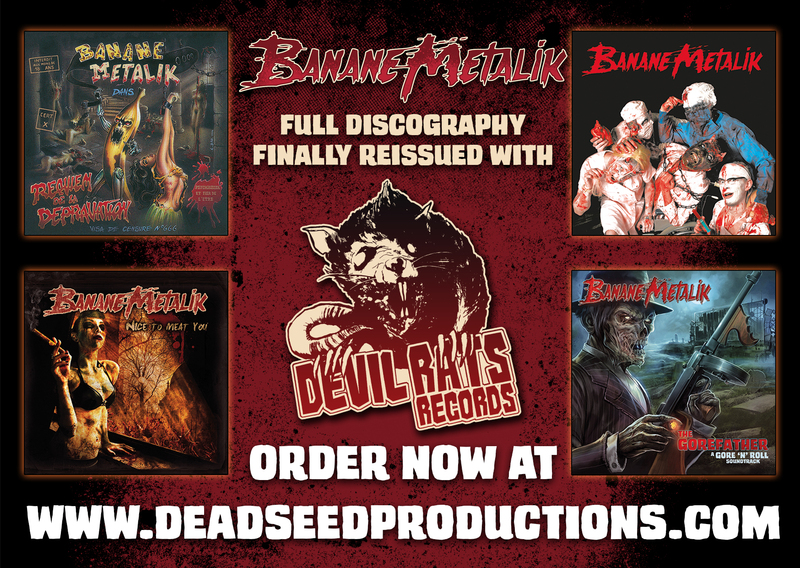 Devil Rats Records - First release anouncements with Banane Metalik! It is with great delight that we welcome the kings of Gore ‘N ‘Roll, the one and only, Banane Metalik to Devil Rats Records ! BANANE METALIK has signed a pact with the Devil Rats to release their latest opus « The Gorefather » on vinyl and to reissue their entire discography on CD & vinyl format. "The Gorefather", 6-tracks MLP will be released internationally (Europe, USA, Canada, Japan, Mexico...) in September 2015. The band will also kick off their european tour “Sangre Familia” with 45 dates in 10 countries. Although the band's live performances have contributed to their wild and successful reputation, these new songs are an exhilarating tribute to their musical background. It is the artistic testimony of an outstanding band: a high class rock’n’roll soundtrack with a solid dose of sulphur ! More news will follow shortly, and bear in mind that this is happening sooner than you think ! 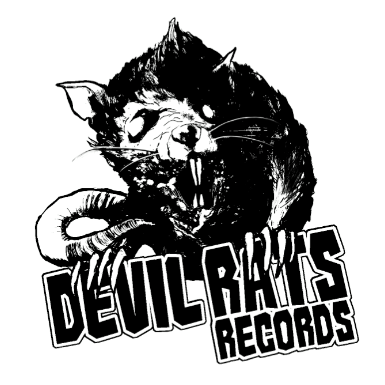 Devil Rats Records - Coming soon! Dead Seed Productions is the exclusive worldwide distributor for new death rock and horror punk label Devil Rats Records. A new Division of Dead Seed Productions. 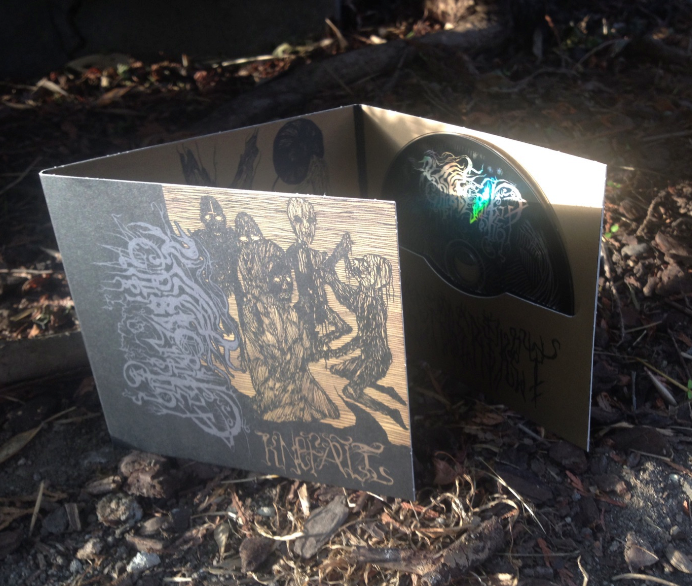 GRIBBERIKET "Knefall" CD - Out now! GRIBBERIKET "Knefall" is now released on CD Digifile.